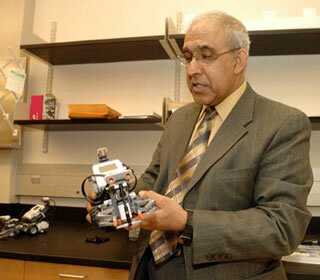 (June 4, 2009)--Mo Jamshidi, the UTSA Lutcher Brown Endowed Chair of Electrical and Computer Engineering and internationally recognized researcher, will traverse two continents this summer and in early 2010 to offer his expertise in "system of systems" engineering to researchers and professionals in the United Kingdom and Vietnam. System of systems engineering (SoSE) occurs when systems programmed to do a task combine to form a complex system that can do more than the sum of its smaller components. The first leg of Jamshidi's lecture circuit includes stops at a number of British institutions sponsored by the United Kingdom Royal Academy of Engineering, where he will deliver a series of SoSE lectures to audiences in England, Scotland and Northern Ireland. During his European lecture circuit, which includes Cardiff (Wales), City University of London and Reading, Birmingham, Edinburgh and Ulster universities, Jamshidi will address SoSE applications for security, renewable energy and multi-agent systems. In early 2010, he will travel to Hanoi and Ho Chi Minh City, Vietnam, where he invited by the U.S. National Academy of Sciences to join the Vietnam Education Foundation (VEF) Fellows Review Board, a part of the U.S.-Vietnam Research Collaboration Program. While there, Jamshidi will give lectures on SoSE. Also, he will introduce to Vietnamese scientists and engineers the UTSA Autonomous Control Engineering Laboratory, UTSA's only SoSE lab. Jamshidi's engineering career spans more than four decades and includes time in academic, professional and government positions both in the United States and abroad. Throughout his career, he has conducted research on a variety of topics for the U.S. Air Force, Department of Energy, NASA and Sandia National Laboratories. His research has offered significant contributions to the research and development of large-scale complex systems, systems of systems and autonomous control. Highlights include his work on the first generation of adaptive optics for the Hubble telescope, the engineering of nuclear breeder reactors, the Mars Pathfinder Project and the applications of robotics for energy efficiency. 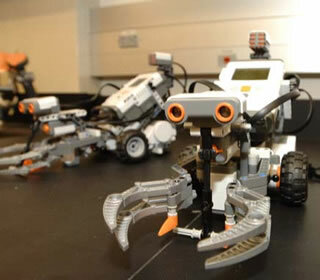 Learn more about the study of electrical and computer engineering at the UTSA College of Engineering Web site.